Now available to pre-order for 2019! Mantis ootheca are seasonal: available from March-May as quantities last. We do recommend pre-ordering your ootheca, as numbers are limited. Please be aware that mantis ootheca are unpredicatble, and can take anywhere from 2 days to 10 weeks to hatch! You will need to incorporate these statistics into your plan. These become ready for shipping in March-April, and are typically sold out by May. 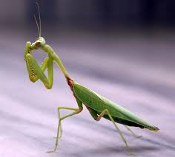 If you are interested in having Mantis for your home, classroom, or garden, it is advisable to place your order in advance to ensure availability.